Smash eggs with fork in a medium sized bowl and mix with cottage cheese, mustard, salt, pepper, and herbs. Place onto 1 slice of bread cut in half, or half a toasted pita. Serve with a side salad of mixed greens, a few sliced strawberries, sliced tomato, sunflower seeds, cranberries and balsamic or white vinegar (I like to use chipotle seasoning for some added spice/heat and flavor). 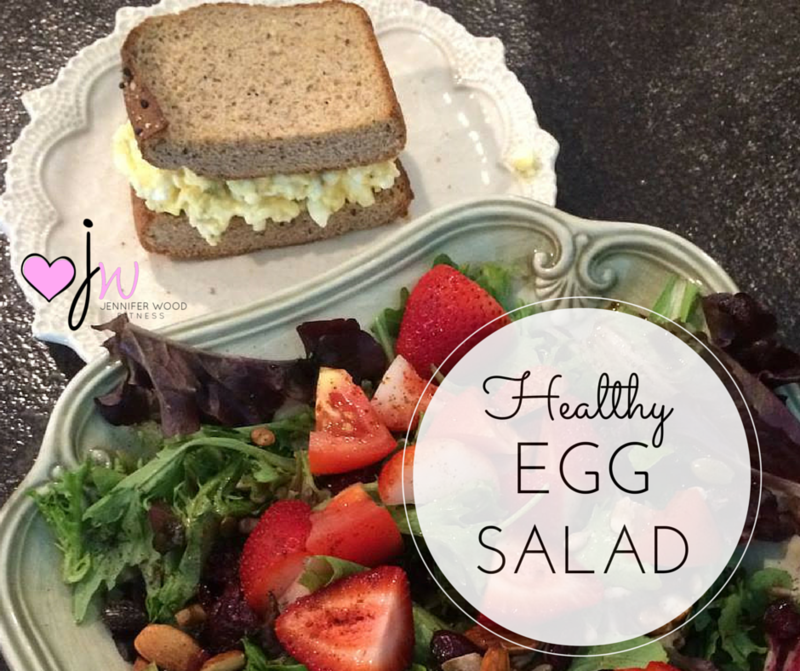 Great for meal prepping lunches - just make your sandwich in the morning or keep egg salad in a different container from the bread. My two teenagers love this stuff! Send me a friend request on Facebook, or email me. Let's connect! Need additional support and guidance with your nutrition? Check out my 10 day online jump start fitness and nutrition group.